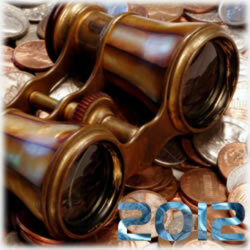 We’re winding up our year in review of 2012 as a whole when it comes to credit cards, scandals and financial shortcomings. Our final look includes the final three months of the year. There’s still a few days that big news can happen before we officially ring in 2013, and if that happens, odds are, it’ll have something to do with the fiscal cliff or perhaps President Obama will name Tim Geithner’s replacement – and as we learned this week, it could be the CEO of one of the biggest credit card companies in the world. We’ll see how that plays out and in the meantime, join us on our final stroll down 2012 memory lane for October, November and December. As we headed into early fall, news broke that American Express was in the CFPB cross hairs. Already, the federal agency had fined AMEX competitors Discover and Capital One, both of which were ordered to pay hefty fines for a host of bad choices and then, American Express was found to have “violated consumer protection laws at all stages of the game – from the moment a consumer shopped for a card…to the phone calls made for collecting overdue payments”, said Richard Cordray at the time the announcement was made that it would have to pay more than $27 million to several regulatory agencies along with $85 million to those consumers affected. Amex didn’t have to admit any wrongdoing, though. Money is your glory…money is your existence; money is your honor; money is everything for you…Hence, attacks will continue soon. The banks, including Bank of America and Wells Fargo, along with the New York Stock Exchange, were targeted. And now, a week ago, the group said it would be ramping up its efforts yet again. It had already done its damage to Bank of America and with threats to up the ante, it’s anyone’s guess as to what comes next. In early November, the Occupy Wall Street movement was in the news again. This time, the news was both noble and impressive. You may recall the protest movement started as a small group of consumers, frustrated with the growing bank fees and credit card fees, took to social media to voice their anger. Soon, those few folks morphed into an entire movement that’s gone global. In its stage two process, Occupy Strike Debt, as it’s now known as, rolled out a new campaign known as Rolling Jubilee. It’s buying bad credit to prevent collection agencies from hounding consumers and as soon as it’s acquiring it, it’s forgiving it too. With President Obama’s reelection in November, many companies instantly went into panic mode and began laying off employees out of fear they’d be taxed due to the healthcare laws. This was controversial on a lot of levels, mostly though, because the new health care laws aren’t even out of the gate and the companies were cutting shifts and overhead. Those layoffs are affecting the country, but now, some are concerned it’s going to cost them more to hire and train new employees. In mid-November, the Federal Trade Commission announced it had been in talks with credit card giant Visa, Inc to provide information on its debit card service. It’s believed it could have violated regulations related to the Dodd-Frank Act. That investigation moves forward and it’s not sure when it might finally be resolved; however, it’s not looking good for the card network. And who could forget the ongoing battle between the credit card giants and merchants? Less than two weeks ago, a U.S. appeals court decided it would not be hearing any appeals of the still-preliminary approval of a $7.2 billion settlement between Visa Inc, Mastercard Inc. and hundreds of merchants over credit card fees. The ruling was short and offered little more than its refusal to go any further. It did say, however, that new suits and requests should be delayed until after the District courts finalize their rulings. That’s not yet been done, so this too is up in the air in terms of how it will be resolved. That’s expected sometime next year. It’s not been that long ago that Barrett Brown, former spokesperson for Anonymous, had been indicted. The charges include trafficking credit card numbers. Prosecutors insist Brown has long escaped his punishment, though it hopes to have him back to the states in a week or so. This is another story that’s yet to be resolved because it’s all going down right now. In early December, HSBC bank was ordered to pay a record $1.9 billion fine to settle an investigation by American authorities involving, of all things, Mexican drug cartels and money laundering. It’s damaging, embarrassing and for many, there’s a rage that there weren’t criminal charges filed. Which big financial and credit stories stood out to you this past year? Did you see it on our lists? Let us know which story is the “big daddy” – and share your thoughts, too, on what you anticipate in the coming year? Will you be looking for a new job? Selling your house?